Raise the roof when you want quality services! 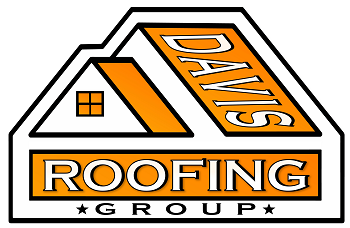 Davis Roofing has a dedicated team of professionals with more than 22 years of experience in the roofing industry. In addition to roof repairs and installations, we also provide general maintenance services to ensure your roof is always in tip-top shape. We are a licensed and insured company that offers roofing services in Galt, CA, for residential and commercial customers. Trust a team of roofers that have the knowledge, skills, and quality materials to ensure an exceptional finished product. We never cut corners but always work hard to deliver the best work possible--guaranteed! In fact, when you depend on our company, every job is 100% guaranteed for your peace of mind. One of the best ways to have a roof that lasts is to maintain it. By providing leaf and debris removal services, we prevent rot and other problems with your roof. Pooling water and trapped moisture cause by collected debris will eventually break down the shingles and roof tiles. This causes irreparable damage to roofing systems. When you rely on our team for roof maintenance, you’ll enjoy a roof that lasts! Schedule a roof inspection today, and we’ll provide a quote for you. Just like anything else, your roof will not last long if not properly maintained. Before you have a roof problem, contact us for general roof maintenance services. We strive to maintain the integrity of your existing roof system as long as possible. By providing roof maintenance, we make sure your roof--no matter the type you have--is in good shape. Preventive maintenance plays an important role in extending the life of your roof system. As trusted and experienced roofing contractors, we help you efficiently manage your roof asset. Due to our extensive experience in the industry, we have seen preventive roof maintenance prolong a roof’s life for years. Our goal is to save you money and save your roof. Find out more about our general maintenance services and special offers. We’ve got you covered! Contact us if you need roofing services for your home or business. We proudly provide services for clients in Galt, CA, and throughout Northern California.